(CN) – A trove of ancient fossils in central Spain has given scientists clues about the behaviors and diets of long-extinct animals, according to a study published Wednesday. Scientists from the Universidad Autónoma de Madrid analyzed about 400 different samples from a deposit of fossilized excrement found in freshwater samples dating from 125 million years ago and found that many ancient carnivores subsisted on a fish-heavy diet. The study was published by Sandra Barrios de Pedro in the journal PLOS ONE. Ichthyophagous is a scientific term meaning fish-eating, while coprolites is a fancy way of saying fossilized poop. The Las Hoyas sedimentary deposit is widely regarded as one of the most scientifically valuable in the world, due to the unique preservation of fossils at the site. Furthermore, the site is unique in that it preserves an inland lake environment, important for paleontologists who have very few clues about the behavior of ancient plants and animals in a freshwater setting. “These fossils are relatively abundant in marine and terrestrial sediments, but coprolites from river, lake, or wetland environments are harder to find,” researchers said. The fossils analyzed in the current study show ancient vertebrates likely fed on fish because of the presence of fish bones and small scales in the samples. Ray-finned fish and crocodiles could be some of the carnivores that produced the samples scientists looked at. The evidence not only provides a window into the feeding behaviors of ancient cretaceous vertebrates, but also confirms the widely held hypothesis that Las Hoyas was once a rich freshwater wetland environment. 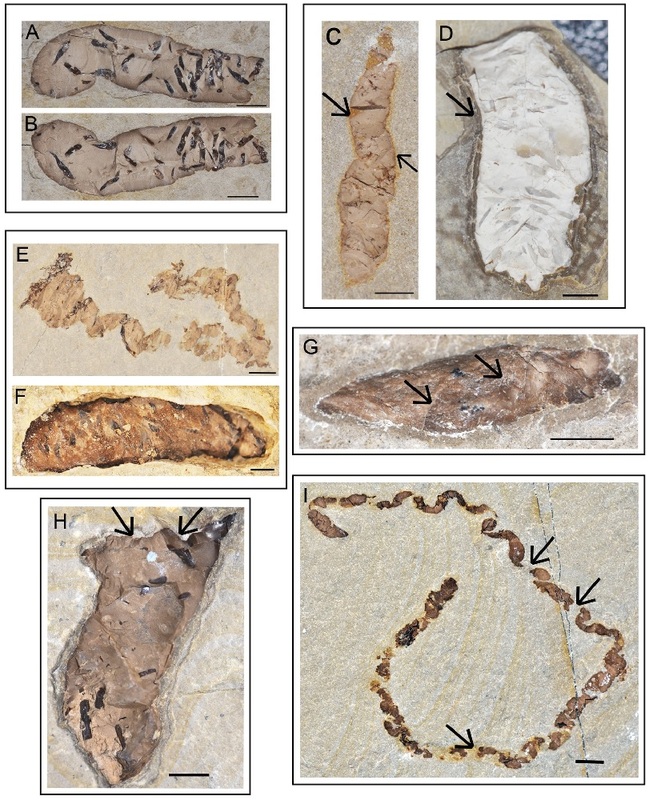 Scientists looked at 433 fossilized feces, or coprolites, over the course of their analysis. They analyzed the shape, contents and chemical composition of the samples.